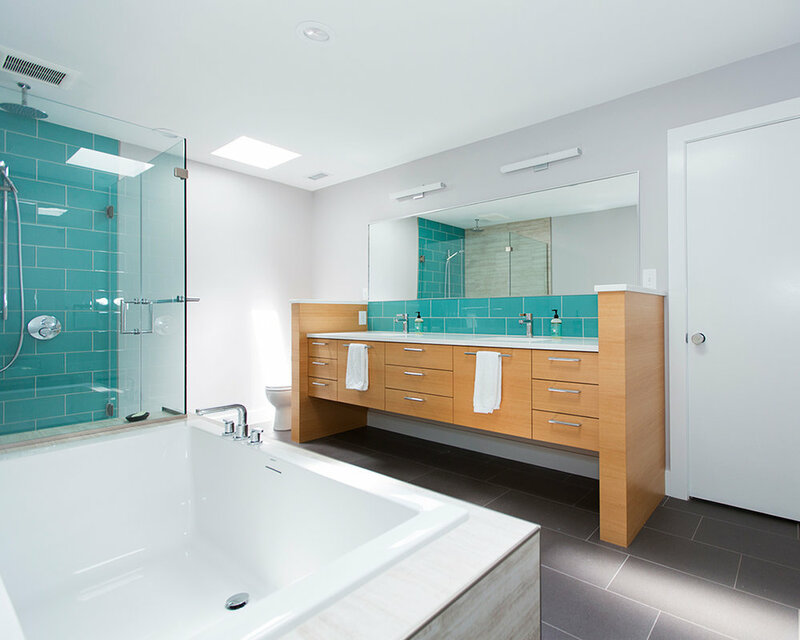 AQUA BATH — TRIPLE AUGHT DESIGN + BUILD. Once again, to open the space we removed a wall to create one large skylit space. The Anigre veneer vanity is designed to ‘float’ above the floor, yet still provide some privacy for the toilet area. 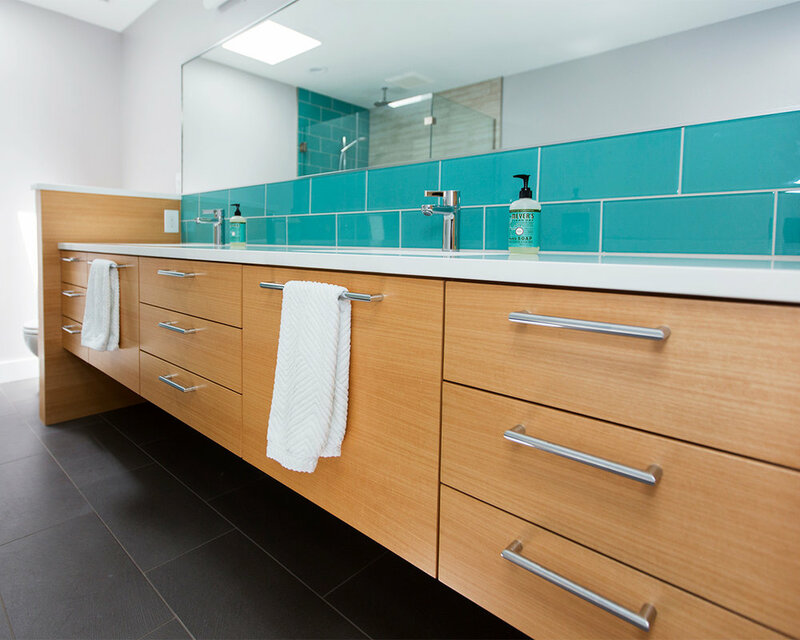 We used a combination of aqua glass tiles for accent with porcelain ceramic tiles for the field areas.